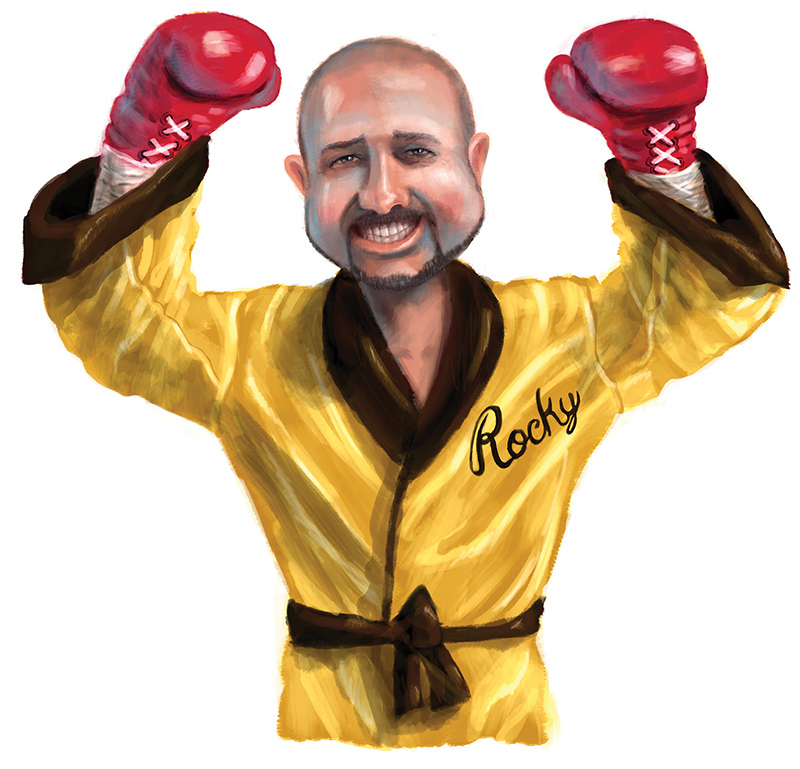 Like a fighter who survives 12 rounds with the champ and wins a split-decision victory, Rocky Hanna emerged last November from a race that was at turns combative, salacious and personal to win election as Leon County’s superintendent of schools by a bruising margin. In so doing, he ousted 10-year incumbent Jackie Pons and promised to make the classroom his focal point. Here, he fields a few questions from Steve Bornhoft, director of editorial services for Rowland Publishing. We leave it to you, the reader, to grade Hanna’s answers. SB: As you think back on the foundational mentors in your life, who comes to mind first? RH: Some of the most important figures in my life have been my father, Jimmy Hanna; my stepfather, Ted Thomas; and former Leon High School Principal Mike Conley. SB: What do you miss most about being a school principal? SB: What is your prescription for improving test scores at underperforming schools? RH: We begin by providing our teachers with the tools they need to succeed. One of my top priorities as superintendent is to push into the classroom as many resources as possible. Our greatest resource is our teachers. I believe that our schools should prepare our students to be successful both in and out of the classroom. SB: True or False? The emphasis placed on standardized tests is too great. SB: Generally speaking, how do today’s graduates compare with graduates of your generation with regard to written communication skills? RH: I think the quality of public education and our students’ levels of performance are much better than they were 35 years ago. Our teachers are better prepared now than they used to be. I am, however, very interested in witnessing the impact that technology has on our students in regard to writing. We have seen the impact of “text speak” on the vernacular, so we are waiting to see if this will have a negative influence in the future. SB: What do you view as the appropriate role for charter schools in the district? RH: Leon County Schools is a world-class public school system with amazing schools and outstanding teachers, staff and students. Philosophically, I have no problem with charter schools, but I am concerned that charter schools could place additional demands on the limited resources in our community. There are only so many students in Leon County.With too many schools, fewer dollars are available to operate a successful institution or offer comprehensive program options for students. I believe that charter schools should exist as a grassroots option to fill perceived voids in our school system. SB: Teachers often express that they are not afforded sufficient teaching time in the course of a school day. What is your outlook on that concern? RH: Time is one of the hardest resources to manage for our teachers. So much is asked of them on any day of the week. The state pushes out more mandates, regular progress monitoring and numerous high-stakes tests. Recently, our board passed a recess policy requiring 20 minutes of the school day to be dedicated to recess for students. While we are proud of this outcome, these additional requirements don’t leave much time for instruction in the six-and-a-half hours teachers are given. I believe in the power of our teachers. I am committed to doing everything in my power to provide them with the resources and time they need to be successful. SB: What was your most embarrassing moment as a student? RH: I had a crush on a girl in world history class, and Mr. Cooper, my teacher at the time, called me out on it. I remember one day he called me a “rubber-neck.” I asked him what he meant by that and he said, “You’re either looking up at that clock or looking over at that girl. You’re a rubber neck.” My face turned red, the girl’s face turned red, and the entire class laughed at the situation. I never wished for a bell to ring more than at that point in my life. SB: Some observers find that social media promotes unhealthy competition among young people and commands too much of their time and attention. Do you agree? RH: After the election, I deleted my Facebook account. I understand that social media is the way the world communicates now. I think it has many positives, but there are negatives associated with any activity if it is not practiced in moderation. I hope our students, and young people in general, learn to experience the present. Too many of them miss out on experiences because they are focused on capturing a moment with their phone just to post on social media. RH: I do not tweet personally, but our district is very active on social media. You can find us on Twitter (@LeonSchools), Instagram (LeonCountySchools) and Facebook (LeonSchools).